VIDEO AD ONLY $100.00 Yearly and Featured in all new videos. We will advertise your products in all our new FULL HD videos from the Potomac and Upper Bay rivers, as well as Northeast Lakes, and give the URL and Logo, and in addition use any supplied products in the videos to promote your company products. We will also combine this advertising with on site banners and promotions in the forums, Facebook and Twitter. For special video advertising rates for companies that sell products through Tackle Warehouse contact us below. Our advertising programs are second to none in the amount of exposure we can provide at a price that is not rivaled in the industry by any other website. The exposure we offer and the results in the way of sales increases through our network of social advertising and optimization is second to none! With thousands of loyal customers already, we can provide banner and media advertising including full HD videos that have currently reached more than 200,000 views. With a loyal customer base and membership our advertising has been proven to increase sales as much as 20% in a matter of weeks to advertisers at our high volume website. We provide more than just a link or a banner with our type of services and go above and beyond standard promotions to reach and obtain loyal customers for your products. 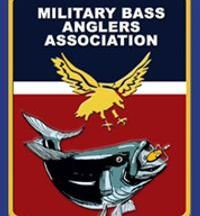 If you are interested in finding out more about what we have to offer, you can reach our Pro Staff representatives Tom Wolverton or Steve vonbrandt at The Bass College site at http://thebasscollege.com or call anytime between 9 am and 9 pm, weekdays. We have over 45 years of experience in the bass fishing industry and have extensive experience in marketing and promotions since 1995. Our advertising programs are second to none in the amount of exposure we can provide at a price that is not rivaled in the industry by any other website. With thousands of loyal customers already, we can provide banner and media advertising including full HD videos that have currently reached more than 2,900,000 views and over 8,700 subscribers, on Youtube alone! With a loyal customer base and our advertising has been proven to increase sales as much as 20% in a matter of weeks to advertisers at our high volume website. We provide more than just a link or a banner with our type of services and go above and beyond standard promotions to reach and obtain loyal customers for your products. We have a full pro staff who promote your company through their own videos and social media and contacts that provide an audience reach in the millions. In addition your product logos are placed on our staff Jerseys, trucks, boats and other vehicles at no charge providing an even bigger audience. 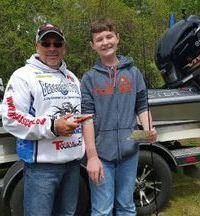 We have over 45 years of experience in the bass fishing industry and have extensive experience in marketing and promotions in the fishing industry since 1995, and other markets since 1970.